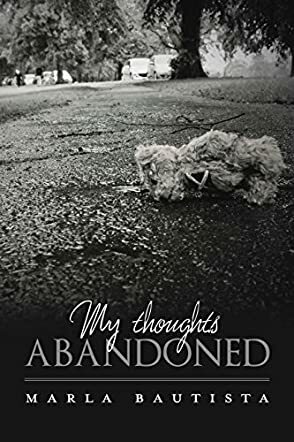 Take a journey into the abyss of poetry as you read the collection in My Thoughts Abandoned by Marla Bautista. You will be absorbed into the chasm of over ten emotionally charged poems about abuse, strained emotions and love. Marla Bautista presents an eclectic piece of work in My Thoughts Abandoned that entails putting inspiration, tribute and the wonders of everyday life into poetry. Relationships can seem to be the best of times and the worst of times, but what about the Unexplained? “...Lying in a pool of blood/ Me on the bed watching Top Model./ How, why, did it end this way?/ Me in the newspapers/ And you on First 48.” If you like poetry and are seeking variety, add My Thoughts Abandoned by Marla Bautista to your library and enjoy poems from Committed, and Unloved to DTU-Don't Trip. Uplift. As I read My Thoughts Abandoned, I truly enjoyed this diverse piece of work. My Thoughts Abandoned offers a poem for every kind of taste which can be refreshing. With each page that I turned to, I knew that the poem would offer an element of surprise and speak volumes to me. Poetry brings and stimulates all types of transparency and emotions and My Thoughts Abandoned continues the flow of words in the form of poetry.